As reported by outlet News 1 media, Jennie of Blackpink will be a guest on Running Man new episode for the second time in this year. In the recent episode, Jennie surprised viewers by reveiling her funny personality along with the unlucky Lee Kwang Soo, the former member of Running Man. Jennie come with Jisoo in the previous episode, and makes the reality show hit the new record viewers. 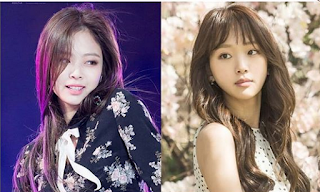 Running Man makes Blackpink`s Jennie cutely lost her swag and cool side. She is unexpectedly become a confident girl who always unlucky. By that so, she become a hot topic in the next after her episode release. And the media reported that Jennie will be a guest again in the new episode along with Jin Ki Joo, the actress of the recent popular Korean drama Come And Hug Me (the lead actor is Jang Ki Yong from YGK+). Both of Jennie and Jin Ki Joo done the recording on July, 30. The episode make a theme about vacation. The appearance of both cute girls, hoppefuly will steal the viewers attention of the loyal viewers of Running Man. And off course the fans of two beautiful girls will see the interaction between Jennie and Jin Ki Joo. This new episode will be airing in this August. We will know later what the exact episode and when the reality show will be aired on television. Let`s wait for the further information. Are you ready, Blinks? Let`s support our girls in the show.